(February 6, 1913 – December 9, 1996) British archaeologist and anthropologist, and world renown distinguished fossil hunter. 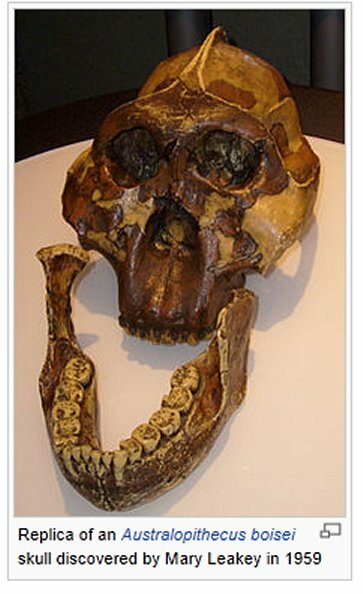 Leakey discovered the first fossilized Proconsul skull, an extinct ape now believed to be ancestral to humans. Happy 100th B-Day Mary Leakey! Leakey also discovered the robust Zinjanthropus skull at Olduvai Gorge. For much of her career she worked together with her husband, Louis Leakey, in Olduvai Gorge, uncovering the tools and fossils of ancient hominines. She developed a system for classifying the stone tools found at Olduvai. She also discovered the Laetoli footprints. 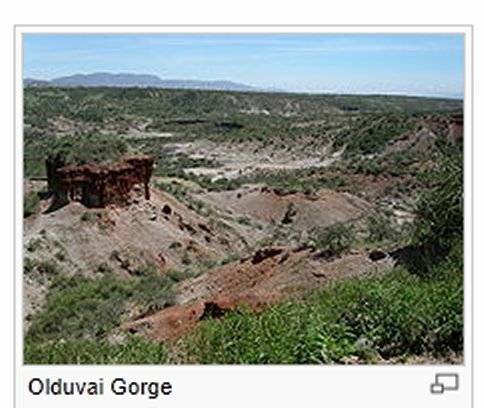 In 1960 she became director of excavation at Olduvai and subsequently took it over, building her own staff. 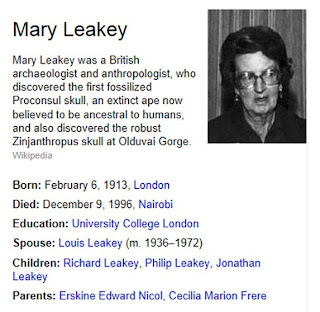 After the death of her husband, she became a leading palaeoanthropologist, helping to establish the Leakey tradition by training her son, Richard, in the field. 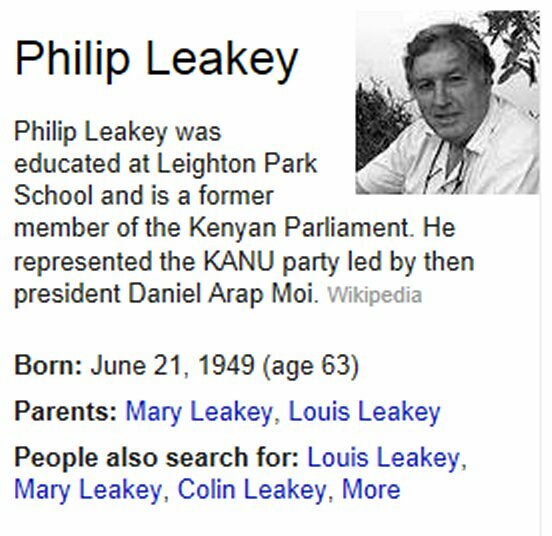 Leakey, a renowned paleoanthropologist, had not only conducted significant research of her own, but had been invaluable to the research careers of her husband Louis Leakey and their sons Richard, Philip and Jonathan.